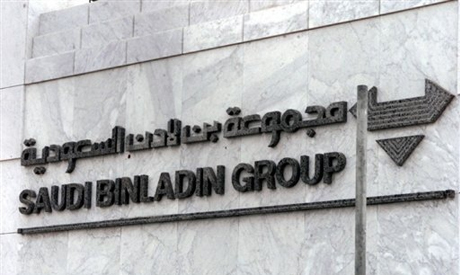 The biggest construction firm in Saudi Arabia, Saudi Binladin Group (SBG), has responded to Egyptian President Mohamed Morsi's call to build a bridge between Egypt and Saudi Arabia, Egyptian state news agency MENA reported Monday. SBG announced it was willing to fund the project in cooperation with Egyptian state-owned construction giant Arab Contractors. The group explained that the project was feasible, but would need the necessary "political will" and the approval of both the Egyptian and Saudi authorities. President Morsi on Monday morning called upon a group of Egyptian and Saudi businessmen in Riyadh to "seriously" consider funding the $3 billion project to build an Egypt-Saudi bridge, which would, he asserted, bolster the region's economies. During his current visit to the oil-rich kingdom, Morsi also called for the revival of a common Arab market. Morsi gave the opening speech at the Economic Development Forum in Riyadh, where he asserted that Egypt would only regain its leading regional role with the support of its Arab "brethren." He added that regional economic integration was vital to the region's development and the welfare of its citizens. "We must fight as an Arab and Muslim nation the drawbacks of globalisation together, through mutual cooperation," Morsi said in his opening address. The Egyptian president added that countries in the region were facing the same economic obstacles, including huge income gaps and widespread youth unemployment. Morsi warned that such obstacles could lead to disastrous consequences if Arab countries failed to act to overcome them as "partners." "The Arab region must take advantage of its natural resources, so as to become competitive in international markets and pave the way for sustainable development," Morsi urged his Arab counterparts. Morsi said that the time had come to start implementing an "effective" and full-fledged "common Arab market, to which the Arab people have aspired for a very long time." "Let us not dwell on the weakness of Arab trade and commerce. What is necessary is common political will and a shared vision to set a timely agenda for the implementation of a common Arab market," he said. Morsi ended his keynote speech by announcing that Egypt aspired to a prosperous Arab nation without poverty and illiteracy. In order to reach this goal, he added, a unified economic policy between Arab countries was "pivotal." The Arab Economic Development Forum is being attended by representatives of more than 20 Arab countries. The event is scheduled to wrap up on Tuesday. it can be built as a bond project, where a toll system installed to collect fees. adding a RR component, would be essential. this is an excellent project. Divers of the world , please unite . Tiran is a unique and one of the world's fasinating diving sites . The construction process itself will destroy the subsurface 4 pinacles which form the site . Another good -bye to one more beauty in Egypt. By giving Egypt loan, Arabia will impose its Shareha of amputation, flogging, and severe killing. I agree with Democracia. A bridge to Saudi Arabia? Why? So more Saudis can marry 12 year old girls, get them pregnant and then drive home to Saudi? What about improving the horrible conditions in government hospitals, new jobs, help the sick and destitute. Feed hungry children. Really, I am so disappointed in the new government and President Morsi. God help Egypt. The article did not mention what, where and how the proposed bridge will be constructed.